Puffy eyes form an integral part of the process of aging. Besides, these might occur after situations like crying, lacking sleep, or some other medicinal incident such as retained fluids in the body during periods or pregnancy. Puffy eyes can also be a result of various causes like hormonal imbalance and excessive salt intake leading to fluid retention in the body. Besides, puffy eyes may also result from an allergic reaction to any food or pollution or pollen and dander getting into your eyes. Other irritants like mascara, contact lenses, and eye shadow may also lead to puffy eyes. Puffy eyes are usually characterized by redness on the eyeball or around the eyes, importunate itchiness, dark circles and swelling under the eyes, and watering of eyes. The redness and itching in the eye can prove really bothersome and uncomfortable. The problem may get even worse with scratching of eyes. Well, not to worry any more. There are numerous useful and effective tips to avoid puffy eyes. Moreover, these tips are easy-to-follow. The primary step involves taking proper care of your eyes even before the problem begins. This is the best way to prevent puffy eyes. If you feel thirsty again and again, it shows lack of water in the body. Lack of water in the body leads it to stagnate wherever and whenever possible, counting the eyelids thus making them puffy. Well, in addition to staying hydrated with water, it is also important to not to drink anything two hours before you go to sleep. Make sure to drink sufficient water all through the day, as much as 8-10 glasses. And then, cut off from the same to do away with the excessive water. Sodium and caffeine are two of the products responsible for water retention in the body. Eyelids form the most prominent body part targeted by water retention thus causing puffy eyes. Rubbing your eyes may result in damaging the delicate tissue surrounding the eyes. This would rather lead to increased irritation and swelling thus worsening the problem. The first thing in the morning should be giving a treat of cold water to your eyes. This helps in constriction of blood vessels in addition to reducing the swelling on face. Many times, you might have been advised to apply the hemorrhoid cream to reduce the swelling. Well, to add to your knowledge, this cream is not formulated for application around the eyes as it may cause increased irritation thus hurting your eyes and worsening the situation. It is important to treat allergies, if any, as the primary step towards preventing puffy eyes. The allergies are not difficult to be treated. You can go for eye drops as well as medications with the guidance of a qualified practitioner. Allergies are a major cause of swelling in the eyes thus making them itchy as well as the chances of rubbing them. This is another important and effective step in avoiding the occurrence of puffy eyes. Sufficient peaceful and restful sleep is required by the eyes to take rest. 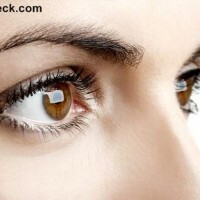 Try to remove maximum possible stress from your mind to have healthy and swelling free eyes. Furthermore, it is also important to sleep with the correct posture. Try going for a good pillow. If your head is slightly elevated while sleeping, the amount of fluids that gets stagnated around the eye area will decrease. The correct posture to prevent puffy eyes is sleeping on your back. Remember to remove the eye makeup as well as contact lenses before going to bed. Sleeping with contact lenses or without removing the makeup may cause the eyes to swell in the morning. Additionally, it is also important to replace the old lenses with the fresh ones as per the specified time period. Not doing so may cause irritation to eyes. Vegetables and herbs like chamomile and cucumbers act as natural remedies for puffy eyes. The anti-inflammatory agents present in the products are helpful in reducing and relieving the swelling on being applied directly around the eye area. Dip chamomile tea bags in hot water and let them cool. After the bags get cooled, use them to cover your eyes for about 10-15minutes. Alternatively, soak a cotton pad in chamomile tea. Then, do away with the extra liquid and put these pads on the eyes to treat the swelling in eyes. As concerned with the use of cucumber, take two slices and put them on the eyes for about 10minutes. Cucumbers act great in healing and soothing puffy eyes. The results are even better when ice-cold cucumbers are used. Treat puffy eyes through cold compress of crushed ice or frozen peas enveloped in a soft washcloth. You will feel the cooling sensation which would help treat inflammation, do away with the redness in addition to relieving itching. Lie down comfortably while you give the cold compress to your eyes. Let it do its work for about 10minutes and see the results. There are many eye gels and eye drops formulated specifically to treat the effects of puffy eyes. Eye drops are generally helpful in reducing the redness and itchiness of the eyes. Eye gels are, on the other hand, helpful in relieving the swelling by applying around the eyes. These drops and gels contain active ingredients like herbal extracts like witch hazel, green tea, and cucumber and soothing botanicals. Daily application of these gels can show noticeable results. As is well known, aloe vera gel is a natural extract obtained from aloe plant. Applying this gel topically on the areas around the eyes is beneficial to treat swelling as well as reducing and relieving the redness and itching. Put the aloe vera gel in freezer for some minutes. Applying this frozen gel onto the eyes can produce a more cooling effect. Aloe vera gel can be a great alternative to branded eye gels. 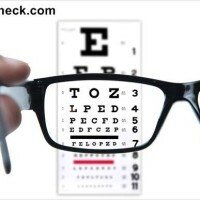 Place it right below the eyes as close as possible. The smaller section of the eye patch touches the eye’s tear duct. The ingredients of the eye patch are perfectly right on your skin. They penetrate into the skin thus relieving the puffiness in the area around the eyes. Ginseng, a major ingredient of the eye patch, provides the tightening effect on your skin. Also, the retinol, an extract from vitamin A, is helpful in mitigating the occurrence of fine lines. The concerted ingredients of the eye patch are still on your skin even after the patch has been removed. Therefore, pat your skin to allow the ingredients to stay and do their work. The puffiness of eyes can be reduced by using an eye crème that contains mint or rosemary herbal base. Use a small amount for each eye. Give a short massage to the area around eyes, sweeping inward along with the ocular bone. This technique is really relaxing and also helps ease the puffiness around the eyes. As the skin is very subtle in this area, therefore ensure the use of your middle finger for it carries the least pressure amount. Sweeping inward around the ocular bone and inside helps instigate circulation as well as movement in the specific area. This massage should be done for 3-5minutes in the morning. Furthermore, the technique proves really beneficial if the puffiness is due to allergies, improper sleep, or just a normal feeling of that puffiness around the eye area. In addition to the vegetables, like cucumber, being used as a remedy for puffy eyes, there are also some fruits which can be used to treat and soothe puffy eyes. For instance, strawberries can prove really beneficial for swollen and puffy eyelids, especially when used in ice cold form. Strawberries are used in the same way as cucumbers while relaxing. The effects are actually same. Tapping the puffy skin around the eyes is also beneficial as it encourages the excessive fluid to get released and drained more easily. The remedy involves the use of nursing pads soaked in cool milk for as long as 10minutes in treating puffy eyes and the dark circles under the eyes. Cold facial crèmes can show wonderful results as a remedy for puffy eyelids as the cold works on reducing the swell and the crème makes the skin get better. These facial crèmes are required to be stored in a refrigerator to obtain the cool effect. You can obtain completely instant results as soon as the crème is applied. This is due to the combination of the cold with the crème. The possibility of getting puffy eyes can be reduced through the aforesaid tips and remedies. Additionally, it is also important to avoid excessive intake of caffeinated drinks such as soda and coffee, salt, and alcohol. However, it is essentially important to be very careful during these remedies as the area around your eyes is quite sensitive. Some of the remedies may show different reactions on the skin. Therefore, be careful about your skin being reactive or allergic to any substance being used in these remedies.